After a couple of tough stages, the sprinters get another chance to shine. Nothing much to talk about, this is an easy stage to control and should end in a big sprint. Nowhere near as hot and a relatively strong wind from the South. 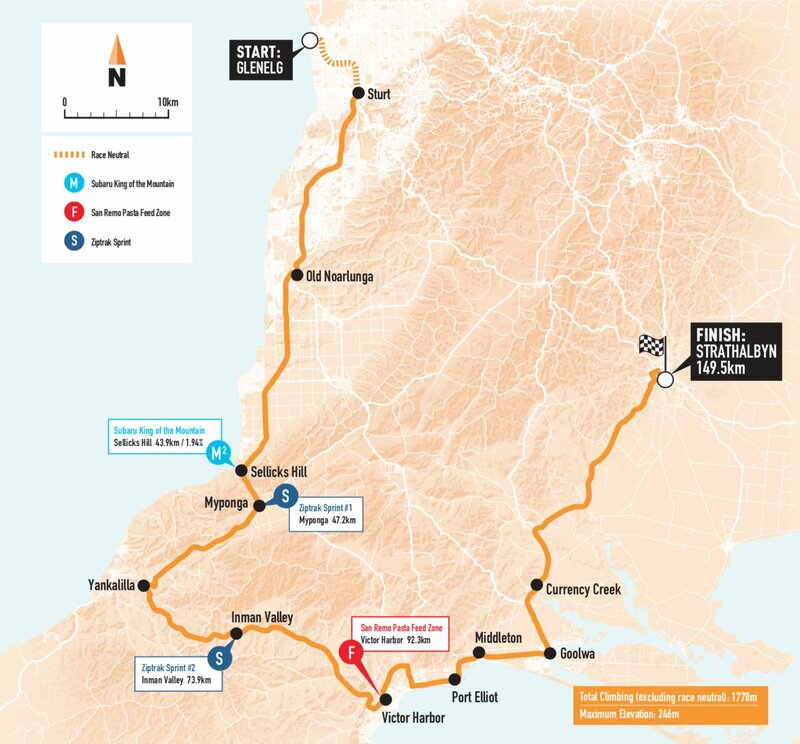 That gives a chance of some echelon action as the riders head through Victor Harbor, it will be interesting to see if any of the teams give it a go. Stage 1 – Sunweb, Bahrain and Jumbo were the teams to nail the lead out, but Viviani produced a piece of magic to take the win. 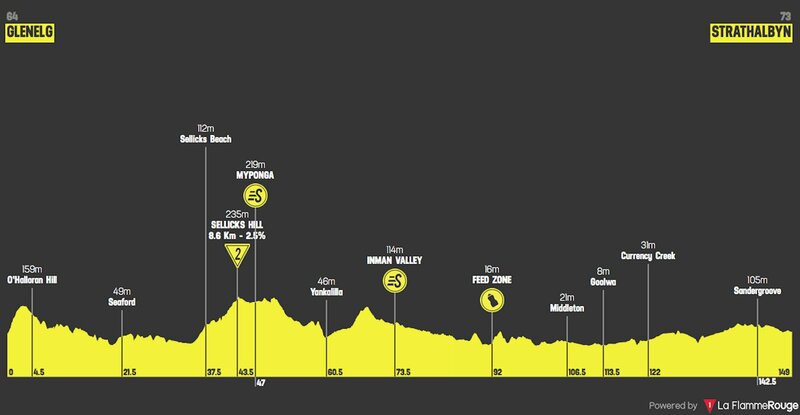 Stage 2 – Again it was Sunweb who controlled the final 2km, but Mitchelton-Scott took over near the end. Despite this, Bevin came from deep to take the win. So far, the sprints have been messy affairs, with a high risk of crashing. We are now entering the 5thstage, with legs starting to hurt. After two easy days, the sprinters have now endured two very challenging days. Not only that, but we’ve now had four hot days, this will also be taking its toll on some. I get the feeling that some of the sprinters will be a little slower than they were back in the opening stage. This has danger written all over it. 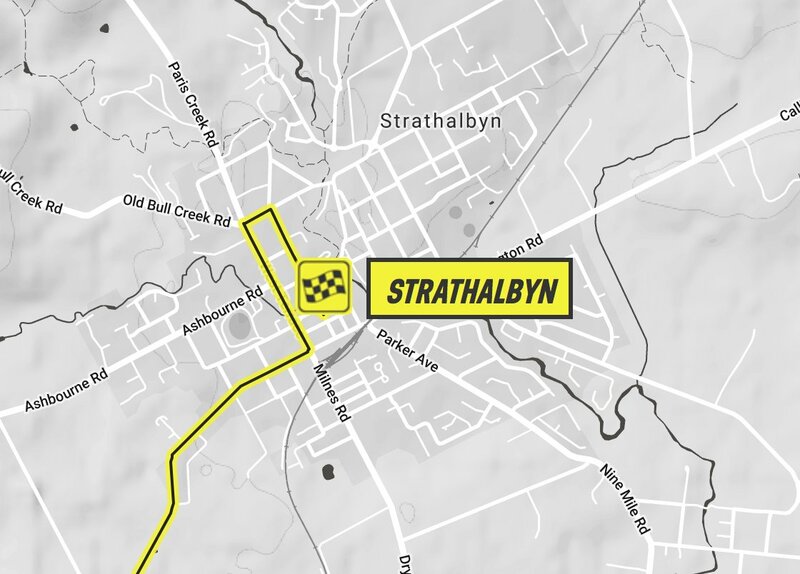 The peloton will be hammering along and are met with a number of corners in the closing 2km. First of all, we have a left-hand turn at a roundabout with 1.6km to go, but this will be taken at a fast pace. We then have a tight corner with 800m to go, followed by another with 600 to go. Both of these corners are quite tight and the peloton won’t be able to take them at full speed. This leads into the finishing straight. If you are poorly positioned with 2km to go, it’s game over. Hopefully everyone stays safe. Caleb Ewan– got the win in the People’s Choice, but as that doesn’t count as a proper win, he’ll be determined to take this stage. With 7 stage wins in the last 3 years, it would be a huge surprise if he didn’t claim one win this year. Lotto got the lead out all wrong in the opening stage but were far better in stage 2. They did as I expected, shortening the train so Caleb started the final kilometres much further up the bunch. I would stick with this approach and just get Blythe, Kluge and him up the front and let them find their own way in the last 3km. These guys are good enough to do this and take the win. Elia Viviani– has a win, he’ll be happy with that. QuickStep are yet to get the sprint train working well, something that will happen soon. It’s still very early in the season for Sabatini and Mørkøv to be firing on all cylinders. Given the technical finale, Viviani cannot afford to be out of position in the final 2km, he needs to be near the front of the bunch. Phil Bauhaus– the German doesn’t mind a technical finish, just as well really! Bahrain have made a good job of positioning him in the sprints and given his speed, it’s only a matter of time before he makes the podium. He has the speed to win but needs a little bit of luck in the closing kilometres. Max Walscheid– Sunweb have been brilliant in this race, challenging high on GC and producing great lead outs. Unfortunately for them, Max Kanter has quit the race, leaving Walscheid without his final man. This will make life much harder for them and I can’t see Walscheid winning the stage. Jakub Mareczko– with the focus on helping Bevin and chasing the morning break, Mareczko isn’t going to have much help in the closing stages. His best bet is to try and hook onto another train and hope they do a good job. 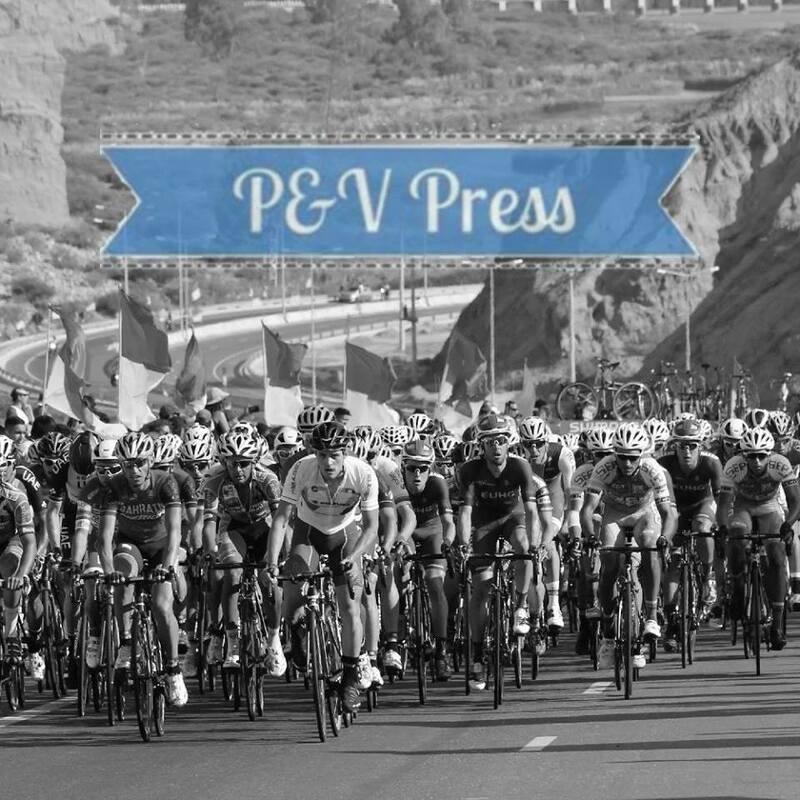 Danny Van Poppel– the Dutch sprinter is growing into the race. Jumbo have a good sprint train, with lots of experience. This will help them in this type of finish and Van Poppel will be hopeful of taking the win. He is a sprinter with a huge amount of power, he just needs to believe in himself a little more. Peter Sagan– has his win, I don’t see him making it two. I predicted that Caleb Ewan would win the opening two stages, and he didn’t. Going into the final sprint I can’t help but stay with my man, as he always wins in the TDU. If he fails, we’ll both be licking our wounds. Come on Caleb, you can do it!